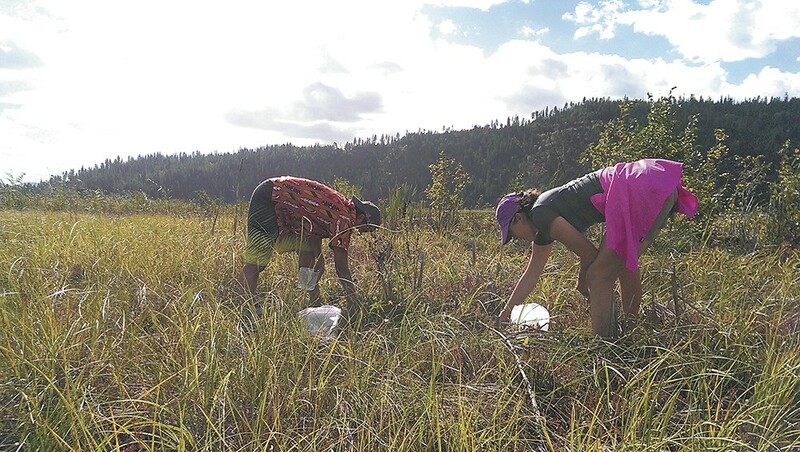 Cranberry pickers are careful to keep North Idaho's picking locations secret. Cranberries. Good for jams, adding zing to your morning muffin, and, of course, something that will be on your Thanksgiving table this week, even if it's one of the feast's more overlooked dishes. Maybe that's why you've never gave much thought to where those berries came from. It's likely your cranberries crossed several state lines to make it to your table — Wisconsin, New Jersey, Oregon, Massachusetts and Washington lead the nation in cranberry production — but now there's a chance you could be eating them from a very unexpected local locale: Idaho. 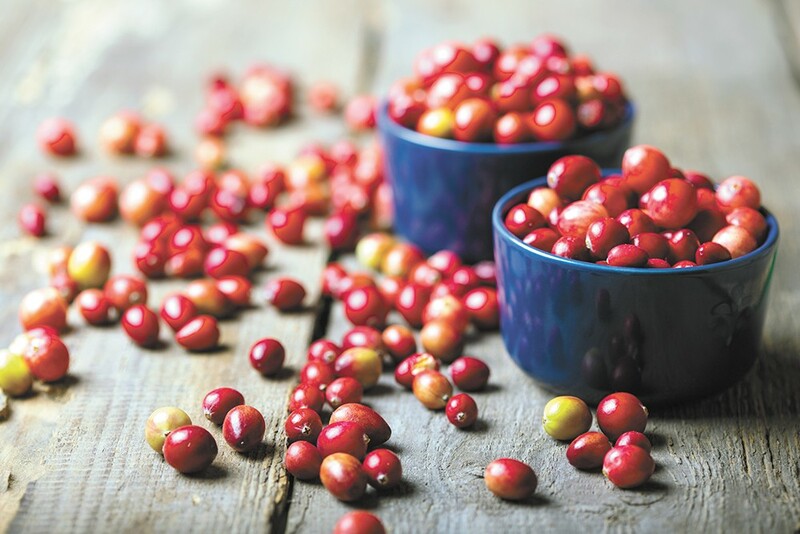 Spokane's Rocket Market, Pilgrim's Market in Coeur d'Alene and the Moscow Food Co-op all featured locally sourced cranberries recently, likely from the same cranberry patch whose legend has been floating around for years — as far back as the 1920s. According to various sources, that's when someone planted the non-native cranberries, perhaps with the idea of commercial production. "I think it would be an amazing commercial crop," says Annette Brusven with the University of Idaho's Center for Forest Nursery and Seedling Research, who remembers her parents picking Idaho cranberries in the 1980s. Although Brusven knows of the cranberry patch, she has never foraged there. Instead, she successfully grows them in her garden from rootstock she bought in Wisconsin, which accounts for 57 percent of the 841 million pounds of berries harvested in the United States last year. True cranberries, of the vaccinium family, are cousins to blueberries, grouseberries and the much-revered huckleberry. Established cranberry bushes are prolific and cold-hearty. As recently as last week, even after several hard frosts, the berries were abundantly brilliant against a bed of verdant moss and decaying leaves. They ranged in color from cream with peachy-pink-rose speckles to crimson to purplish-maroon. Regardless of color, they're united by a crisp tartness that might lessen their tastiness for much of the surrounding wildlife. Humans, on the other hand, have found numerous uses for the berry, which is high in vitamin C, manganese and antioxidants that may prevent or delay certain types of cell damage. Native Americans may have invented the first energy bar: dried berries mixed with animal protein to make what the Cree called pimîhkân or pemmican. In fact, dry-harvested berries — those found in the grocer's produce section — keep up to four months in a cool, dry place or can be frozen for up to 12 months. Berries can also be crushed for juice — one gallon requires about 4,400 berries — a popular home remedy for urinary tract infections. And according to commercial cranberry giant Ocean Spray, Americans consume roughly 80 million pounds during the week of Thanksgiving. Dani Vargas likes to make vanilla cranberry bread and also boils them with sugar to make pungent cranberry vodka. A former produce manager and beer and wine buyer for the Moscow Food Co-op, Vargas is now a Moscow police officer. "We heard about the cranberry patch from a friend here in Moscow who heard from a friend," she says. This is her second year picking, which she says is a cross between plucking and raking. It's fast picking because cranberries — unlike huckleberries — do not bruise easily. Similar to huckleberries, however, is the territorial nature of pickers. Last year, Vargas encountered folks filling coffee bags full, enough for commercial resale. "They seemed concerned about us being there and being new," she says. They told her it was "an unspoken rule that they would only bring one new friend out each year." Why the secrecy? Overpicking can slow the growth or even irreversibly damage an area, while some damage is pure negligence: piles of branches slashed from the huckleberry bush with many of the smaller, rejected berries still visible on the branch. There's also the matter of public lands jurisdiction — the Bureau of Land Management, Idaho Panhandle National Forest (which also forbids "commercial gathering" of huckleberries), Idaho Department of Fish and Game's Wildlife Management Areas — to promote but also protect Idaho's natural bounty.